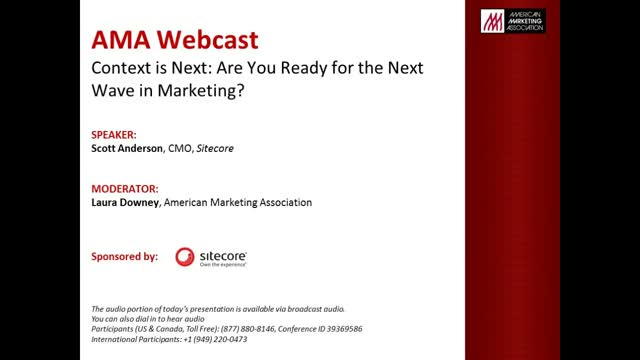 Listen to this entertaining and informative webcast presented by Sitecore CMO, Scott Anderson, to discover how context marketing is revolutionizing the customer experience, and how you can get your company in the game. You'll get numerous real-life scenarios of companies providing contextual experiences and seeing significant business results. Title: Context is next: Are you ready for the next wave in marketing?